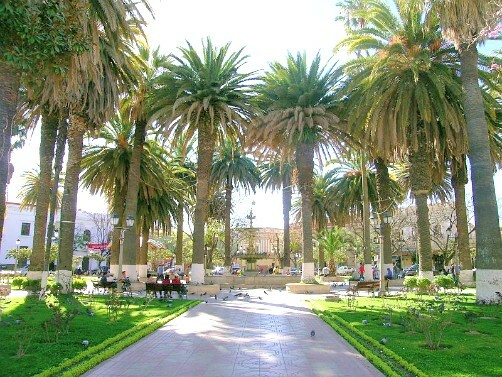 Hotels in Tarija Bolivia. Travel Tarija. Hoteles y Hostales en Tarija Bolivia. To help you find hotels in Tarija Bolivia we personally visited, reviewed, and took photos of each of the Tarija hotels featured on this page. We met with owners, managers and staff, toured each hotel, and got all the information you need to choose hotels in Tarija. For more hostels and hotels in Tarija, visit the Prefecture of Tarija's Tourist Information Office on Calle Sucre. You will a surprisingly large number of inexpensive and luxury hotels in Tarija. Read more about them in our Bolivia Hotel Review. Below is a list of hotels in Tarija. Check for them on Tripadvisor and Trivago. If they aren’t listed, you’ll need to make a reservation directly.